If you’re on the air, or are a programmer responsible for those who are, there are 7 deadly sins of radio personalities that should be purged from your life. Many shows are guilty of all 7. Most commit several on a regular basis. Some are guilty every single day. How many of these 7 Deadly Sins of Radio Person­alitie­s are you guilty of? The first deadly sin is gluttony. Whether it’s pizza or sleep, too much of anything is not good for you. Gluttony becomes one of the deadly sins when air personalities try to jam in too many topics. More often than not, those topics don’t have enough depth because there’s not enough time to develop each topic so it’s sticky. Most shows burn through content, hitting on a topic once in a show and then moving on. That means you need 12-16 topics a day, depending on the length of your show and how many breaks in the clocks. Is there that much great content every day? Wouldn’t it be better to focus on fewer topics? The ones listeners really care about? And do them more? Get rid of all average features. Identify your hits and do them more often, putting your emphasis and resources into making fewer things great. Being bored isn’t a sin, but causing listeners to be bored is a deadly sin of radio personalities. And when do they get bored? Usually when you are bored. Boredom happens when mundane, everyday tasks make your job seem less like show business and more like a factory job. You’re repeating the same liner cards every day, every hour. You’re playing the same songs by the same artists you’ve heard a million times. You’re reading the same commercials day after day. The job off-the-air is a hassle, and not nearly as much fun as it once was. Over time, it affects your energy, attitude and enjoyment. But listeners don’t care. They come for a show, and your job is to take them away from their boring, hum-drum, routine. You’re their escape. Every break starts to sound the same. You fall into patterns and routines. You’re watching the clock to count down to the end of your show, or counting how many breaks before you’re done. Content starts to become generic an incomplete, not specific and targeted. Segments stall, repeat and don’t move forward. You’re not having fun off or on the air. Take responsibility for your attitude. Find a technique that puts you in a good mood every day. Maybe it’s music. Or meditation. Or exercise. You can’t always control your surroundings, but you can control your response to it. Sometimes overcoming boredom is hard work, but it’s an important part of preventing listener boredom. Egoes gone wild may be the most common of the sins. Great performers need a healthy self-confidence, a swagger. Maybe even just a little bit cocky. But when it turns into a show that is all about you, it’s deadly. The hook, or entry point starts with you, not with the listener’s interest. Failing to respond spontaneously and naturally to listener calls or to your partners on multi-personality shows. Performing the show as if in a vacuum from inside the four wall boundary of the studio instead of with the listener’s conscience in mind. Talking about what’s happening in the studio. Personalities talking on top of one another, competing for attention to get their point in. Balancing a healthy ego with humility is delicate. If you can understand and master the concept of It’s Not About You…it’s All About You, you’ll be on the road to recovery. Integrity and authenticity are essential to air personalities, an your performance must be true to your character brand profile as explained when building a 5 Star Personal Brand. But when personalities perform outside of their personality profile, they’re guilty of the sin of deceit. When you don’t take a position or point of view, or it is vague or unclear on the air. When listeners hear you respond exactly the same way, especially with surprise, to the same topic or comment. Listeners value an air personality endorsements as a friend’s recommendation, but when you recommend or endorse products, brands or services you don’t believe in, credibility is challenged. That relationship is critical, and it’s valuable. 7 of 10 listeners say they consider their favorite personalities to be regular people like themselves. The key to personality radio is relatability and authenticity. Finding your voice, your character and your position in the market is the first step to success, and never violate your character map. Studies show that a majority of Americans have interacted with radio personalities at some point during their lifetimes. If that is accurate, we are doing a lousy job converting these opportunities into TSL, since the average listening occasion continues to decline. The sin of Isolation occurs when personalities don’t capitalize on opportunities to make an impact. You try to get out of station appearances or demand a talent fee to go anywhere. When you do go to the event, you hide from listeners in the van, the tent or the back room. When in public, there’s nothing for listeners to do! It also happens when you ignore listeners interested in interacting with you on social media, the phone and by text. It’s important to set up a system for responding and interacting. Commit to it and make it a regular part of your routine. This is a silent, hidden sin, because it’s not obvious that it’s happening. Omission is the sin of not doing those things that you don’t really need to do, but could. And if you did, it would be more successful. It’s the sin of missed opportunities. Staying Current. Maybe you aren’t interested in the same things your audience is. Too bad. You need to be current and understand it. Growing Your Skillset, like taking a class in improv to learn to interact and respond better on the air. Improving through Review. If you aren’t getting feedback from your PD or manager, initiate the contact. Investing in yourself. You know Morning Show Boot Camp would help your career and you could meet other broadcasters that could help, but you don’t go because you are angry that your company won’t pay for it. This is the greatest sin of all because it feeds all of the other sins. Lazy shows are sloppy shows, and sloppy shows never reach their potential. Not reaching your potential is something that should be really hard to live with. but many accept it. Laziness can be as simple as an unwillingness to invest the time into creating a great show, but it can also be more subtle. Today, most broadcasters have multiple responsibilities at their stations. You’re wearing a lot of hats. Maybe you’re voice-tracking on other stations, or in other markets. The list of daily tasks is endless, and overwhelming. So you start cutting corners and compromising. And what happens? We focus on the urgent – the things that must be done – and we ignore the important-those things that are crucial to being an effective communicator. The result is a show that sounds okay, but isn’t special. You sound good enough to get by…to keep the station moving forward…but listeners aren’t excited by it. And, it happens when you fail to focus during your show. Every element on your show should have your full, undivided attention. But you’re answering personal emails, checking your friend’s posts on social media, texting your wife, setting up a tee-time, watching a YouTube video, ordering something on Amazon during the show. Meanwhile, the phone goes unanswered. Your co-hosts take their cue from your behavior and start doing other things, and nobody is fully engaged on the show. You could be planning a better tease, preparing to add personality into a liner card or live read that’s coming up or editing a phone call for the next break. There’s no quick fix to overcoming the 7 sins, but everyone can and should identify the one or two sins on the list that are a barrier to growth. Break it down into small, actionable steps, then go to work with a laser focus until you have overcome it. As you make progress, celebrate your growth. Be proud! Then move on to the next thing. Even if you’re guilty of all 7, if you can overcome just one sin per quarter…each 90 days…in less than 2 years, you’ll be a new personality. 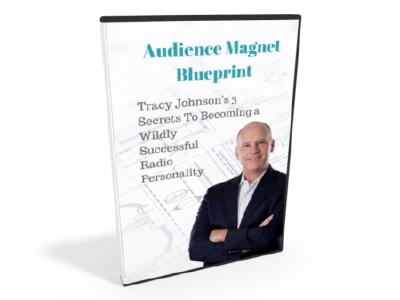 My FREE eBook shows you the 3 secrets to becoming a wildly successful radio personality without depending on your company, program director or advertising. GET THE MOST FROM YOUR BEST. Find out how to develop a strategy to recycle, repurpose, replay and reperform your best content to present more “A”-level content. Should You Avoid Some Topics for Fear of Being Fired?